Kantishna sits 90 miles into Denali National park, just 25 miles from the base of Denali, a short hike from Wonder Lake, and in the midst of grand wilderness and wildlife. Moose, bears, wolves, and Dall sheep are likely to be a few of your neighbors during your stay, and you might be lucky enough to spot them on hikes and bus rides throughout the park. 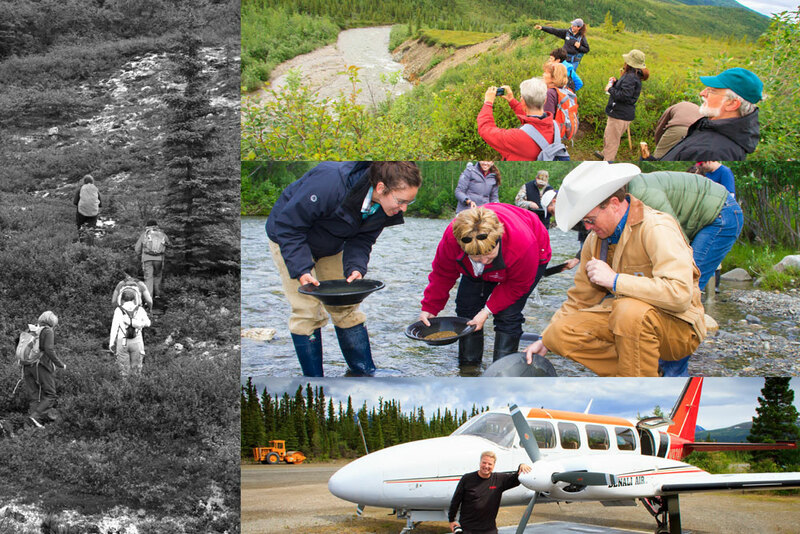 The grandeur of Denali’s mountains, valleys, trees, and rivers surround Kantishna, allowing you to soak in the views, sounds, and smells of Alaskan wilderness that has been left nearly untouched by humans for thousands of years. 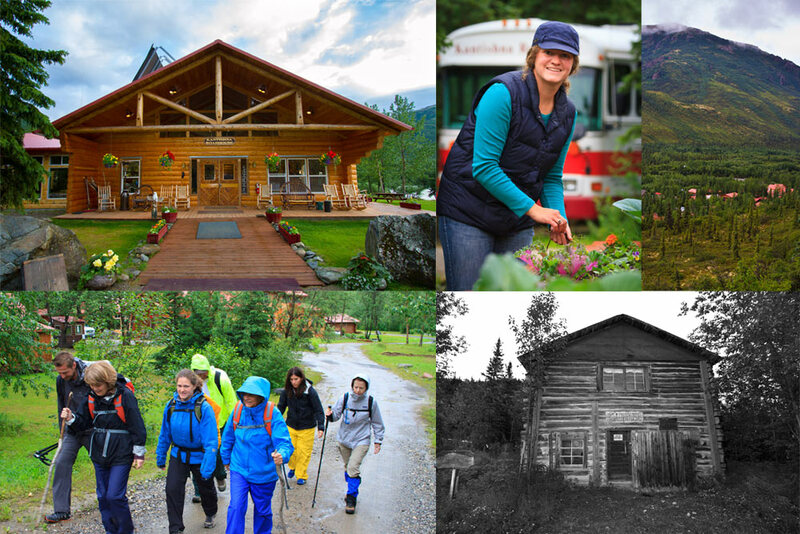 As a historic gold mining district that was once home to thousands of prospectors, Kantishna has historical buildings mixed in with modern cabins and an updated lodge. The mix of old and new buildings contributes to the charming character of Kantishna, while the modern cabins offer all of the contemporary comforts you’ll need for your stay. Our spacious cabins are fitted with comfortable beds and private bathrooms, offering a cozy place to unwind after a day of hiking, exploring, or relaxing in Denali. Indulge yourself with a massage, a hike or bike ride alongside a sparkling creek, a glass of wine on the deck of your cabin or simply some quiet time immersed in the spectacular surroundings. 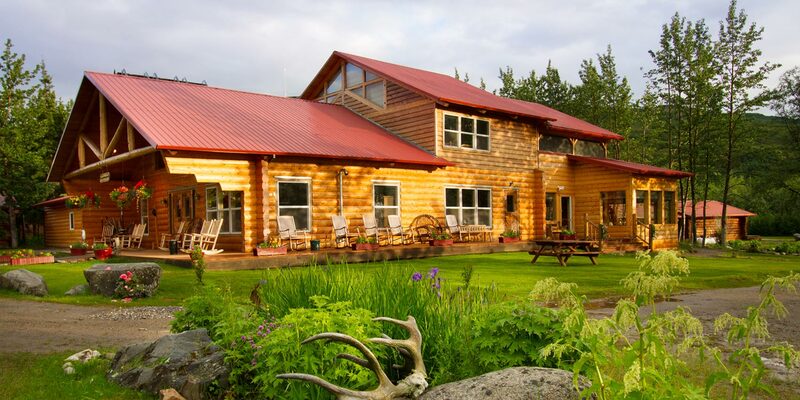 The list of activities at the Roadhouse includes fly fishing, gold panning, sighting wildlife, and many others. Whatever you choose to do while you are here, we’re certain it will be an experience unlike any other. Our guides are happy to help you find an activity that you’ll enjoy. 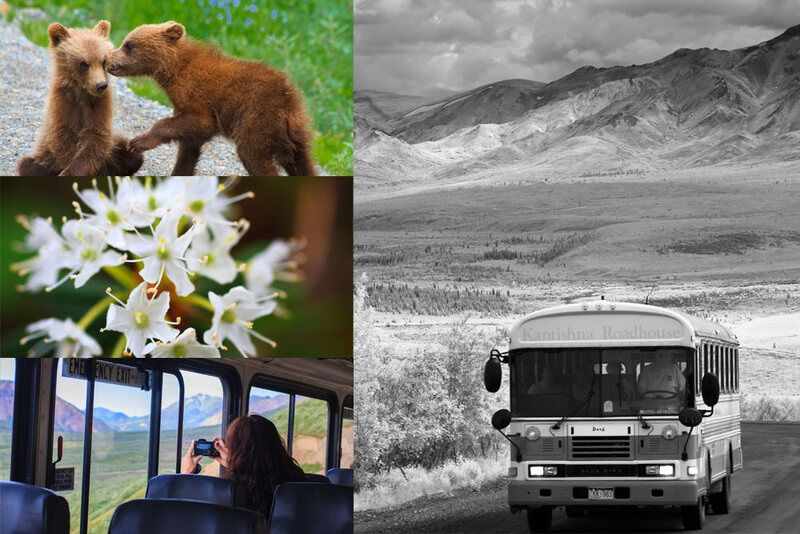 Your adventure begins when you board our bus for the journey through Denali National Park and into Kantishna. Since Kantishna is only accessible by approved vehicles, your stay includes a scenic drive on one of our tour busses. On this ride out to Kantishna, you’ll see braided rivers, scenic valleys, majestic mountains, lush forests, and plains of tundra. You’ll also have plenty of opportunities to spot wildlife like bears, moose, and wolves along Denali Park Road. If the weather is right, you may be able to catch a glimpse of Denali, the tallest peak in all of North America. This bus ride to Kantishna is just the start of your journey, and it’s one memorable highlight to begin your adventure.